The Palestinian Prisoners’ Society (PPS) has reported, Saturday, that a wounded child, remains in a coma, in a life-threatening condition at an Israeli hospital, after Israeli soldiers shot him with live rounds in the face. 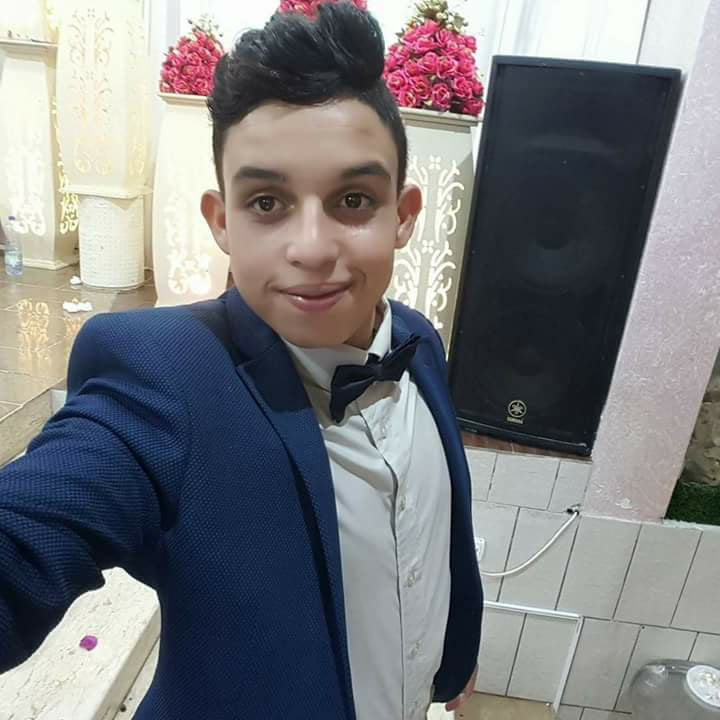 The PPS said the child, Hamed Omar al-Masri, 14, is currently at the Intensive Care Unit, in the Israeli Schneider Children’s Medical Center in Petah Tikva, after undergoing a surgery in his face, and that his health condition remains life-threatening. It added that the child has three more surgeries scheduled in the coming period, due to the seriousness of his wounds, especially since the Israeli army bullets struck him in his left eye, and nose. It is worth mentioning that the child was shot by the soldiers on December 12th, near Salfit, in northeastern West Bank. 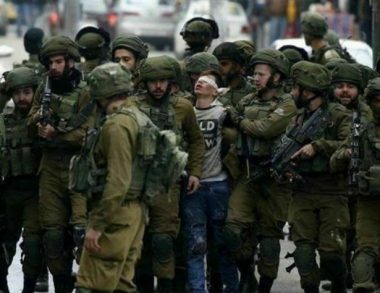 The 16-year-old Palestinian detained boy, Fawzi al-Junaidi, whose photo, showing him surrounded by over 20 Israeli soldiers during his arrest operation on December 07, went viral on social media, narrated his story of being tortured at the hands of Israeli soldiers at the time of arrest. Captive Junaidi told the lawyer of the Palestinian Prisoner Society, Mamoun al-Hesheim who visited him in Ofer jail, that an Israeli soldier beat him by a rifle on his chest while he was passing by clashes in al-Tuffah Street in al-Khalil to visit his relatives. The lawyer quoted Junaidi as saying that 23 soldiers, as shown in the photo, joined that soldier and started cursing and hitting him, by feet, hands and guns, while lying down. 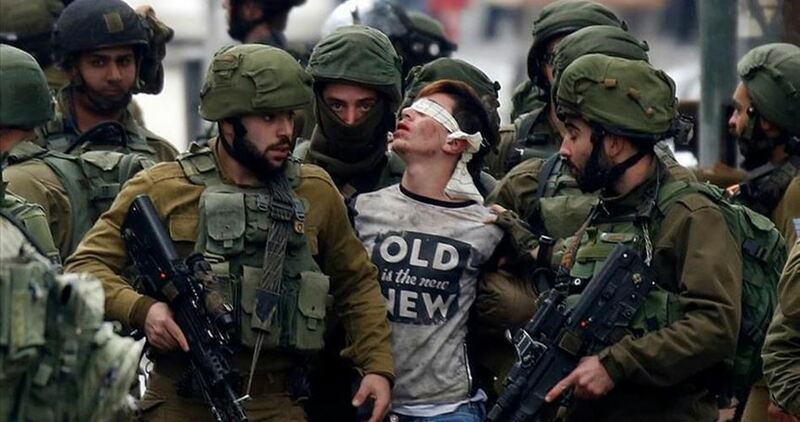 A statement, issued on Saturday by the Society, stated that Israeli Occupation Forces (IOF) blindfolded the boy and tied his hands with a plastic chain which injured his hands. He was marched to the so called Container barrier with bare feet. 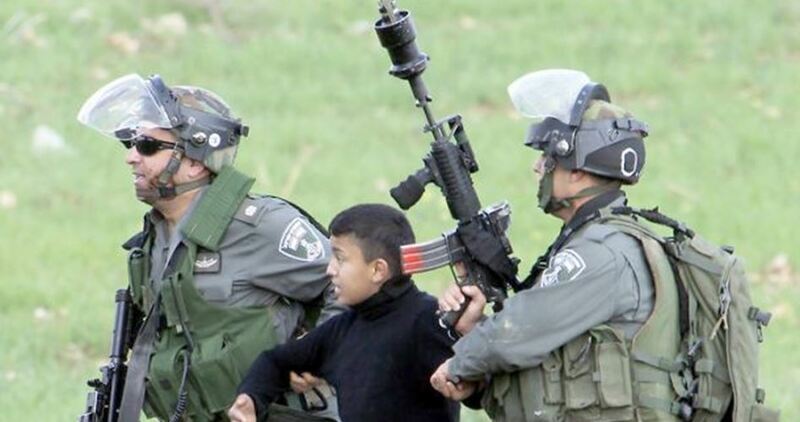 The boy added that the soldiers detained him after that in a dark room where they continued beating him brutally. They tortured him by pouring cold water on his feet and strongly stepping on them. He was about to faint of severe pain, he said. Detainee Junaidi was left with bruises all over his body which required him to be taken to hospital before moving him to jail. The lawyer also pointed out that Israeli occupation authorities subjected the detained minor to investigation while being tied by a metal chain. His lawyer was not allowed to accompany him during the investigation and he was banned from contacting his family. The investigator forced prisoner Junaidi to sign a confession in Hebrew without even offering him a translation, the lawyer added. The published photo of the boy has been locally and internationally condemned as symbolizing the Israeli army's use of excessive force against Palestinian detained children. 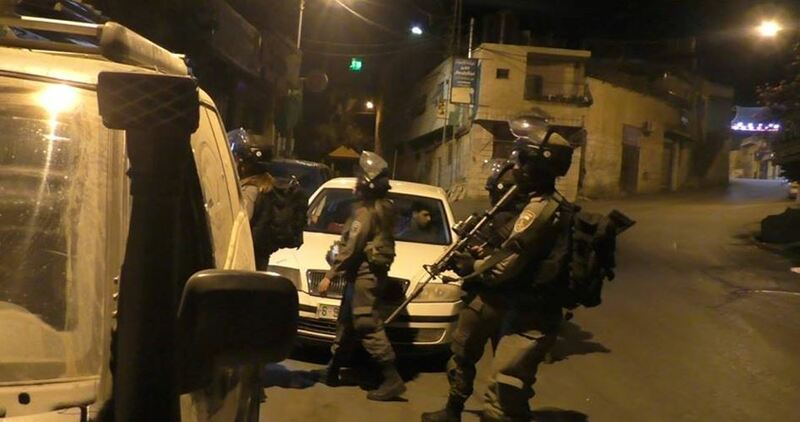 The Israeli occupation police at dawn Saturday kidnapped seven Palestinian citizens from their homes in al-Issawiya district, east of Occupied Jerusalem. A Birzeit University student identified as Khaled Abu Ghosh is among those detainees, according to local sources. Eyewitnesses also reported that Israeli policemen brutally beat a Palestinian young man in Jerusalem on allegations that he refused to comply with their orders. They added that the Israeli police intensified its security measures in the morning in Bab al-Amud area in the Old City of Jerusalem. 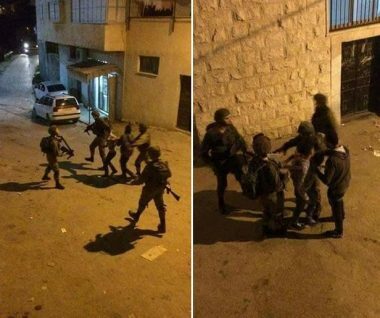 The Israeli Occupation Forces (IOF) arrested overnight four Palestinians, including two children, in Jenin to the north of West Bank. 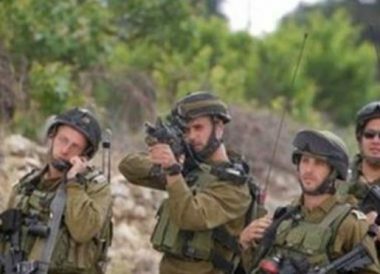 Local sources told PIC reporter that IOF kidnapped two boys near a military checkpoint west of the city after brutally attacking them. The two children were later released after being subjected to tough investigation. Meanwhile, two other youths were rounded up at Jalama military checkpoint and took them to unknown detention center. 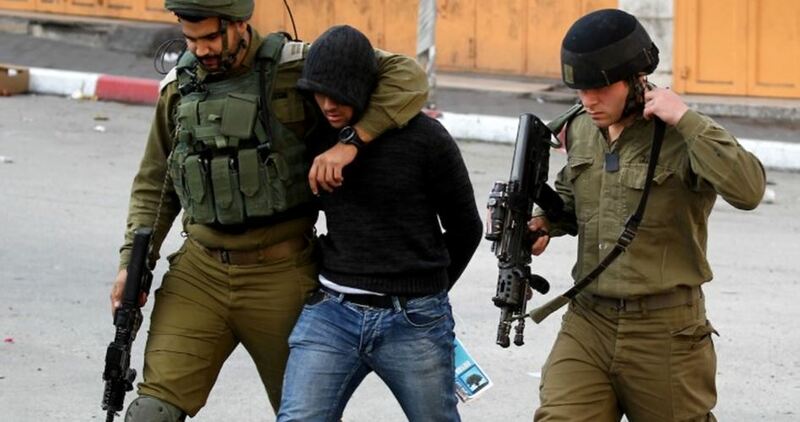 Israeli arrest campaigns have been notably increased over the past week as tensions spread in Palestinian occupied territories over US President Donald Trump’s decision to recognize occupied Jerusalem as capital of Israel. A number of Palestinian citizens were injured on Friday in the clashes that broke out in Occupied Jerusalem and its environs. Quds Press reported that demonstrations were launched in Bab al-Amud area near al-Aqsa Mosque and many towns and villages in Jerusalem and its suburbs to protest at the US recognition of Jerusalem as the capital of Israel. 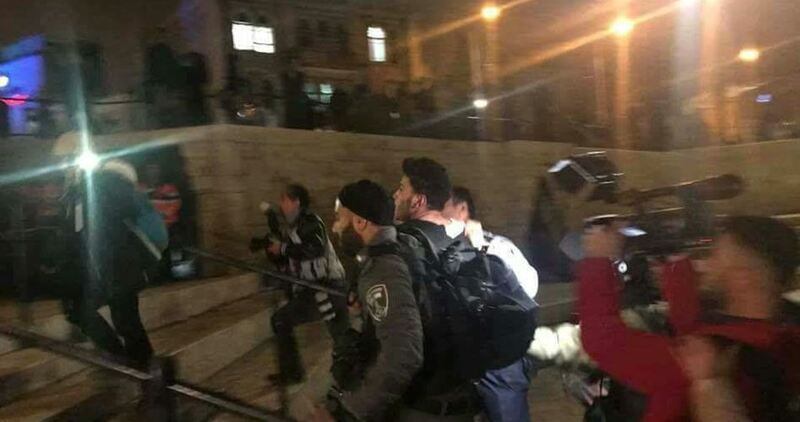 Two Jerusalemite youths were arrested during Bab al-Amud demonstration while dozens were injured after being attacked with pepper gas by the Israeli police. The Palestinian Red Crescent Society said that its crews treated two Palestinians who were injured in the vicinity of Bab al-Amud after being severely beaten by the Israeli police. Palestinians also marched in Qalandia refugee camp against the US decision after performing Friday prayer in the streets. The Israeli police forces dispersed the protesters by firing sound bombs and tear gas canisters causing a number of injuries and suffocation cases among them. 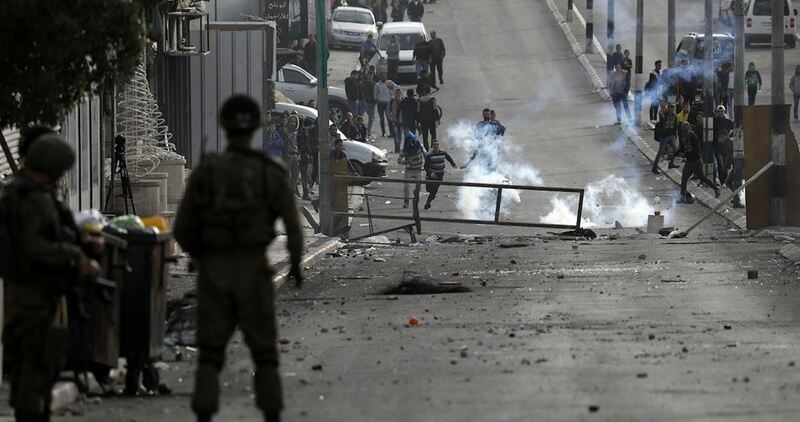 Many Palestinians were injured in the confrontations that broke out in the villages of Qatanna, al-Eizariya, Abu Dis, al-Ram and Hizma where the Israeli police heavily fired rubber bullets, tear gas canisters and sound bombs. The Red Crescent Society crews said that they attended to nearly 54 injuries in the occupied West Bank and Jerusalem. The Israeli occupation forces (IOF) on Thursday night kidnapped a Palestinian young man on a road near Kafr Qaddum town, east of Qalqilya. According to local sources, 22-year-old Sami Akel was rounded up by soldiers at a makeshift checkpoint near the town as he was going to his workplace. He was bundled into a military vehicle and driven to an undeclared place. The reason for his detention is still unknown. 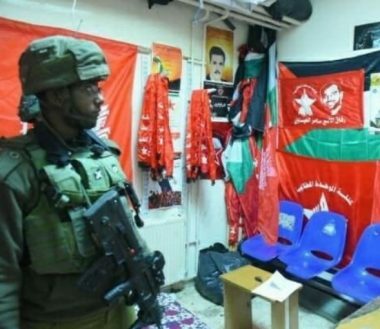 The IOF carries out daily arrests in different areas of the West Bank, mostly during raids on homes. 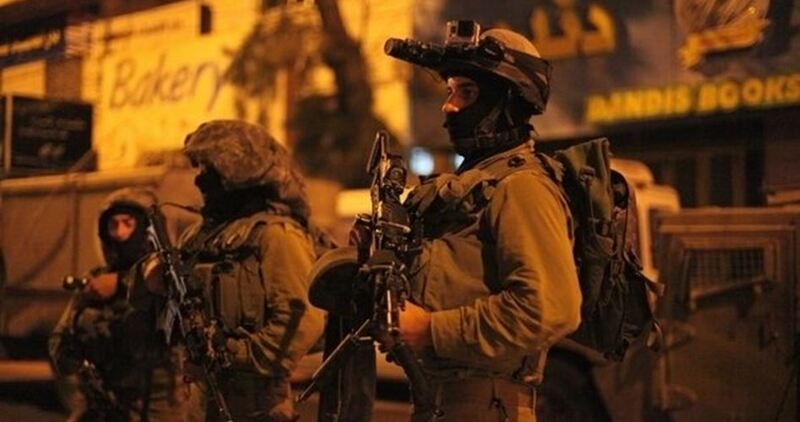 Israeli soldiers invaded, on Thursday evening, the village on ‘Aneen, west of the northern West Bank city of Jenin, and abducted two Palestinian children. Local sources said the soldiers invaded the village, and attacked dozens of Palestinian protesters, who were marching and chanting against the ongoing Israeli occupation, and the American President’s illegal recognition of occupied Jerusalem as the unified capital of Israel, in direct violation of International Law. They added that the soldiers fired live rounds, rubber-coated steel bullets and gas bombs, at many youngsters, who threw stones at the invading jeeps. The soldiers then chased several Palestinians, before assaulting two children, identified as Abdul-Karim Emad Yassin, 13, and Mohammad Lutfi Milhim, 13, and abducted them. The Palestinian Red Crescent Society (PRCS) crew members treated 26 cases that were assaulted by Israeli police, while one was transferred to hospital to receive treatment. 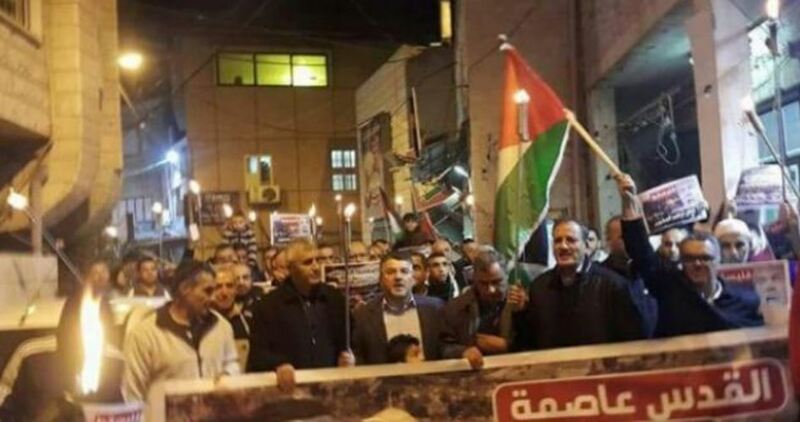 Palestinians continued to protest for the second consecutive week across occupied Palestinian territories against US decision to recognize occupied Jerusalem as the capital of Israel amid international condemnation. A video recording being circulated on the Internet has showed a Palestinian young girl standing up for herself when an Israeli policewoman embarked on brutalizing her and others in Occupied Jerusalem. The incident happened in Bab al-Amud area, one of the Old City’s gates, when a group of police officers started to assault and arrest Palestinian protesters who rallied to condemn the US recognition of Jerusalem as Israel’s capital. The video shows a policewoman bullying female protesters, which prompted one of them to defend herself and her friends and knock the officer to the ground. 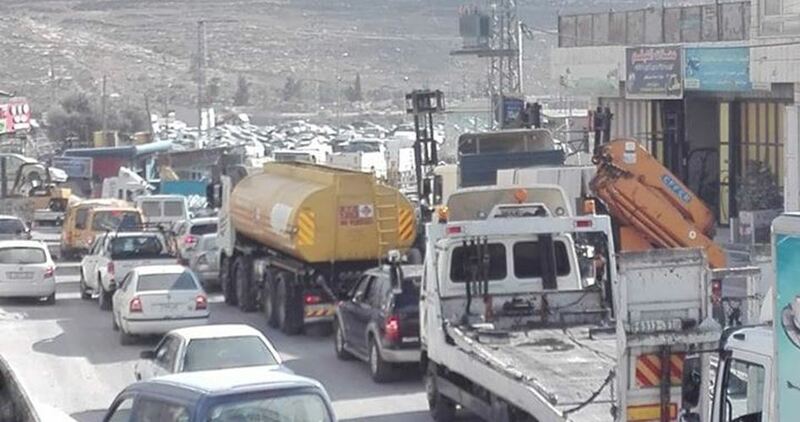 The PIC reporter revealed that IOF also closed Siddat al-Fahs industrial area and erected a military barrier at the southern entrance to the city.